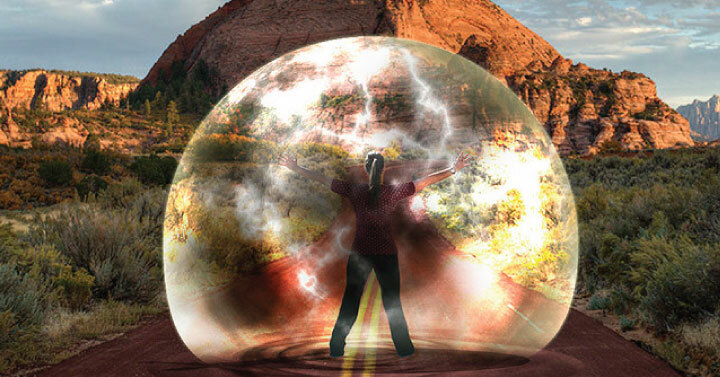 Have you ever felt a force field around your body? Our brains are aware not just of our bodies but also the immediate space around us. Now, a twist on the classic rubber hand illusion can make people “feel” this space – a sensation they liken to perceiving a Force Field. Neuroscientists have known for decades that our brains contain representations of the area surrounding us, known as peripersonal space. 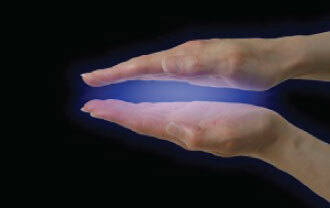 This allows us to grasp objects within our reach and helps to protect us. Imagine you are walking through the woods talking to a companion, when a low-hanging branch suddenly appears in your peripheral vision. You’ll instinctively duck to avoid it: your sense of peripersonal space has prevented you from banging your head. Hard neuroscientific evidence on the phenomenon appeared in the late 1990s in animal studies. Michael Graziano of Princeton University, New Jersey, and his colleagues recorded the electrical activity of neurons in the parietal and frontal lobes of the brains of monkeys, finding that some neurons fired not only when an object touched part of the body, but also when the object came near it. When the researchers directly stimulated such neurons, they found that the monkeys would reflexively move their heads and limbs as if defending themselves – for example, grimacing and closing their eyes, turning their heads to one side and putting up their arms in a protective posture. Although no one has repeated the experiments in humans, there is evidence that certain regions of our brain specifically deal with peripersonal space. For instance, some people who suffer strokes in the right posterior parietal lobe cannot sense peripersonal stimuli on the left side of their bodies, but can sense things that are further away, outside the peripersonal space on that side. At least, that’s the theory. Now, Guterstam and his colleagues have tricked humans into actually feeling our peripersonal space. To do so, they turned to the well-known rubber hand illusion. In the standard form of this illusion, the experimenter uses a paintbrush to stroke a volunteer’s hand (which is hidden from view) and an adjacent, visible rubber hand. The stroking is done simultaneously at the same speed and place on both the real and rubber hand. Within minutes, most people report feeling the touch of the brushstrokes on the rubber hand as if it belonged to them. Researchers noticed that the illusion didn’t work if the rubber hand was too far away from the real hand. In the new study, which involved 101 adults, the researchers made one important change to the experiment. They never brushed the rubber hand directly. Instead, they moved the brush above the rubber hand, again at the same time as brushstrokes that touched the real hand. This meant the volunteer felt touch on their real hand but watched the brush move in mid-air, say, about 10 centimetres above the rubber hand. Most volunteers reported feeling a Magnetic Force or Force Field between the paintbrush and the rubber hand below – as if the brush was encountering an invisible barrier.“We can elicit this bizarre sensation of there actually being something in mid-air between the brush and the rubber hand,” says Guterstam. The volunteers also felt a sense of ownership of the rubber hand. The team found that the illusion disappears when the brushstrokes are more than about 30-40 centimetres above the rubber hand. This distance seems to be the limit of the peripersonal space of any given body part. The illusion of the Force Field also disappears if there is an opaque metal barrier between the rubber hand and the brush. Because the barrier makes it impossible for the hand to reach up and grasp anything, or for anything to hit the hand, the space above is now not peripersonal space, Guterstam speculates. The fun part about this experiment is that you can do it at home. Try it out and let us know that you think about it in the comments below.